Kids these days! According to a recent study, 38 percent of children under the age of two use tablets or smartphones (that’s up from just 10 percent in 2011). 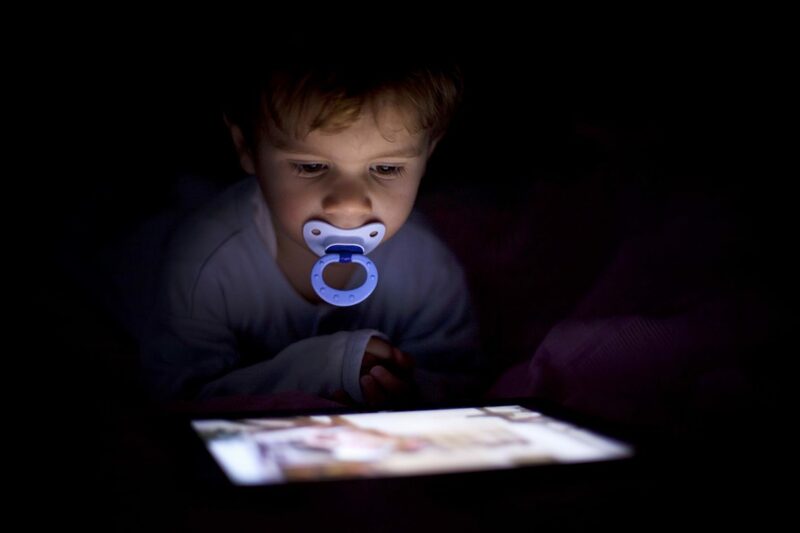 It’s great that our kids are so tech-savvy…but how safe is your expensive “toy” in their tiny hands? Follow these tips to protect your precious tablet. A case is a no-brainer, right? And if you’ve got a little one manning your tablet, you’ll want an especially heavy-duty version. The tech geniuses at Lifehacker recommend the shock-absorbing, easy-to-grip SuperShell line (for most models). Keep your tablet in the cover at all times—not just when you think it’s at risk of being dropped or spilled on—and slap on a screen protector for good measure. Those chubby fingers are adorable until they leave smudges all over your screen. There’s no one-size-fits-all parental control system—it depends on variables like your tablet model and its software, how much you want to spend, and what exactly you want to restrict access to. In addition to the built-in security and password-protection options in your device’s settings, there are tons of apps available to get the job done. Check out this guide to the ten best parental control apps; from preventing accidental app installations to creating a customized kid-friendly environment, there’s bound to be something that suits your (and your swipe-happy child’s) needs. Still nervous about handing over your pricey product? This online series tests out child-specific tablets that come with preloaded kids’ content and a bigger focus on parental controls and filters—you’ll find seven popular ones here; take a peek and see which one is a good fit for your family. It’s worth noting that these guys aren’t exactly cheap (higher-end options can set you back up to $250), but their cost is still less than a broken “grown-up” tablet.